See the storytelling phenomena electrifying audiences nationwide LIVE in Iowa City! 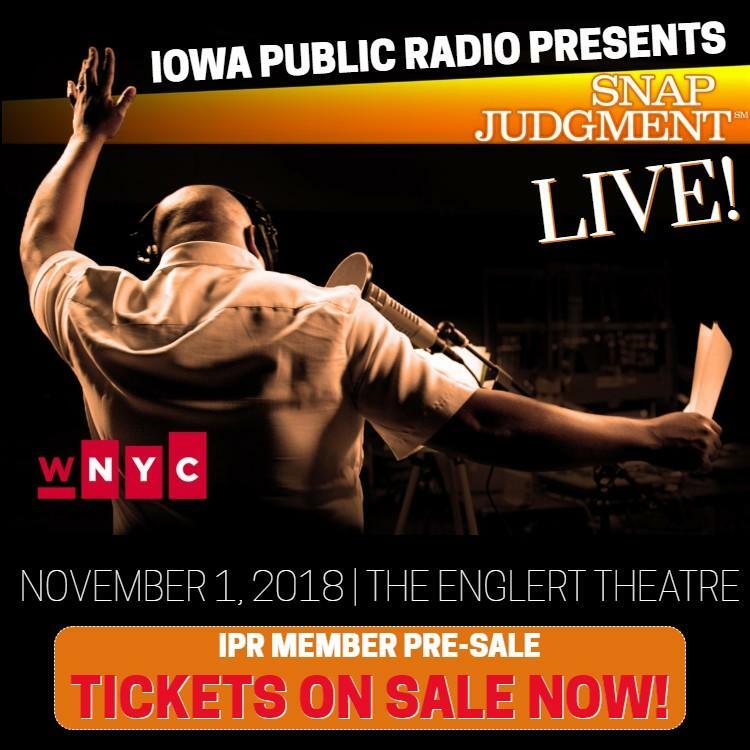 Created by Glynn Washington, produced by WNYC and launched on NPR stations five years ago, Snap Judgment LIVE delivers a raw, intimate, musical brand of narrative -- daring audiences to see the world through the eyes of another. Snap Judgment LIVE features the world's finest storytellers, on stage, backed by Snap Judgment band. Tickets are on sale now to IPR members (check your e-mail for the pre-sale code) and public on-sale begins Friday, June 1. Snap Judgment is heard weekly on over 365 public radio stations, including Iowa Public Radio, and downloaded over two million times a month. The Atlantic magazine hailed Snap's Glynn Washington as "the first African American (NPR) host to swing a big cultural stick, the first who seems likely to become a public-radio superstar on the order of [Ira] Glass..."
Before Snap Judgment, Glynn worked as an educator, diplomat, community activist, actor, political strategist, fist-shaker, mountain-hollerer, and foot stomper. Glynn composed music for the Kunst Stoff dance performances in San Francisco, rocked live spoken word poetry in Detroit, joined a band in Indonesia, wrote several screenplays, painted a daring series of self-portraits, released a blues album, and thinks his stories are best served with cocktails.